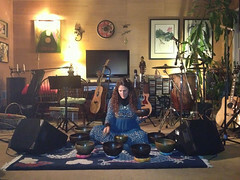 The cabaret entertainment began with a blessing and candle-lighting from co-host Tania Gerich. 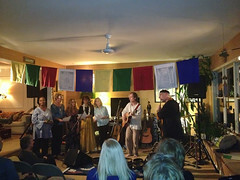 Sufi kirtan leader Mahbood Len Seligman then led everyone in the “Om Mani Padme Hum” mantra. 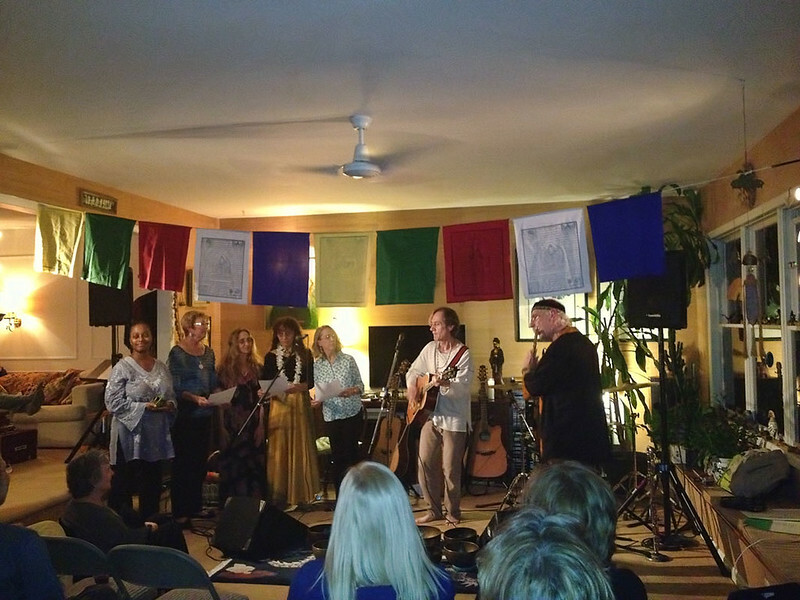 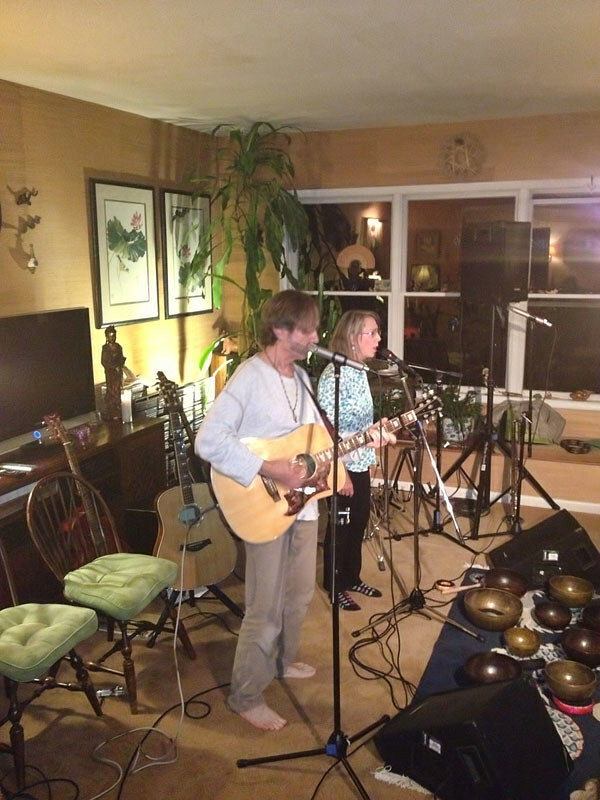 Other performers included co-host Stream Ohrstrom, Tania Gerich and Julia Burger (who performed a poem), singer Patricia Gershanik and musician-songwriter Gordon Coupe, as well as kirtan leader Wynne Paris. 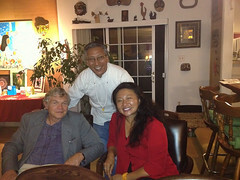 Wynne introduced founder of CTTF, Achi Tsepal, who talked movingly about the goals of the organization, i.e. 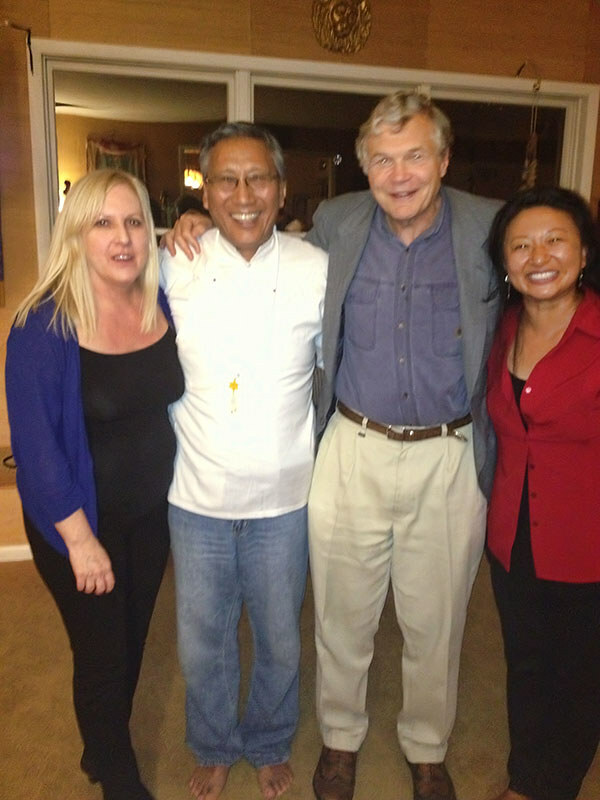 helping the Tibetan children in his village with their education. Achi then introduced the new President of CTTF. 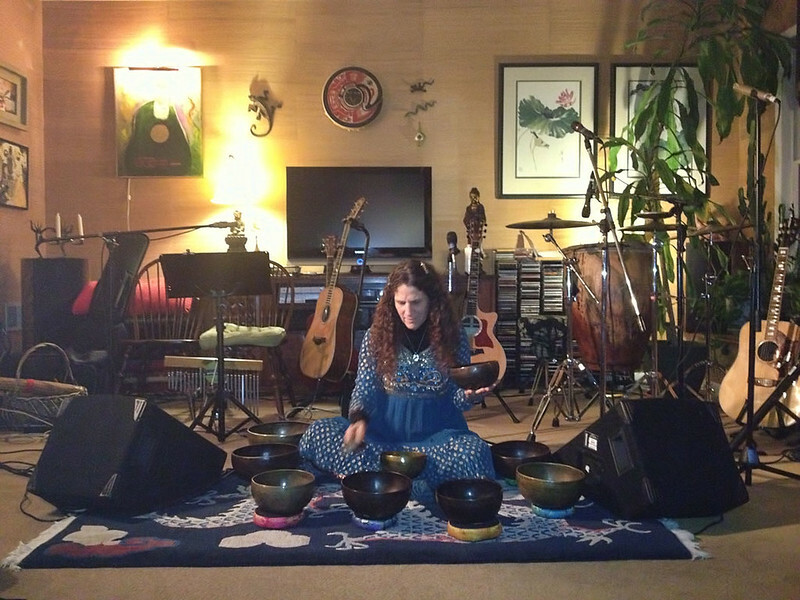 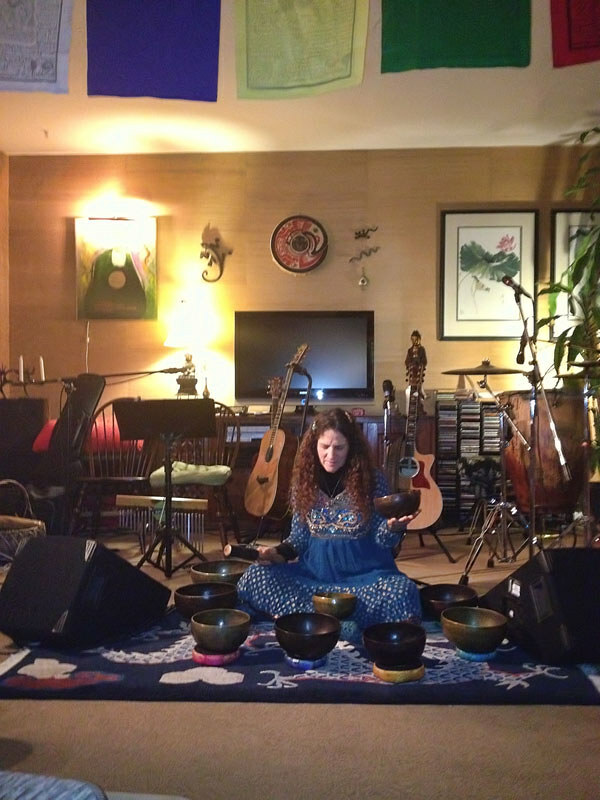 After a brief intermission, Hope Shakya played her collection of singing bowls. 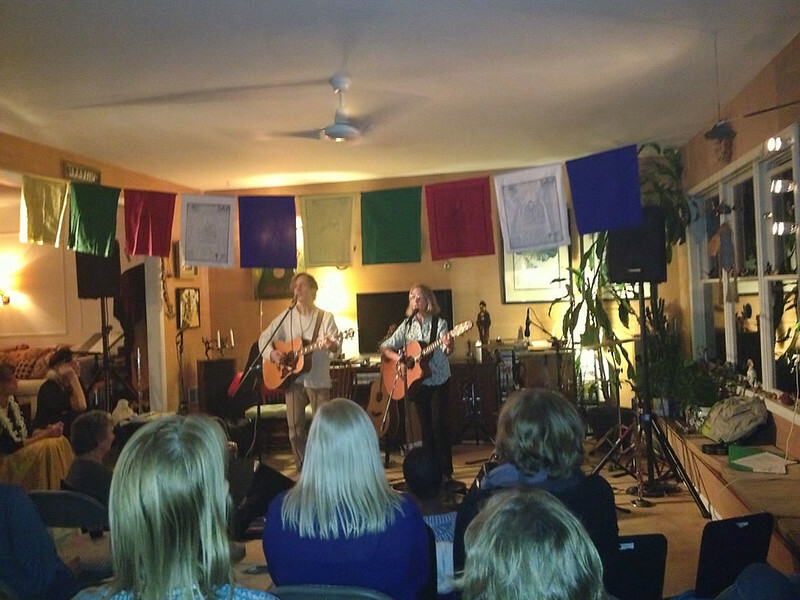 Celebrated singer-songwriter Carey Creed and singing-songwriting duo Stephen Bloodsworth and Wendy Montague performed some beautiful songs. 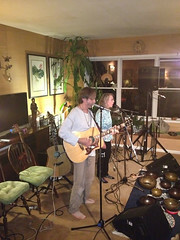 The evening ended chairs being moved out of the way, as the audience danced to Stream and the Blue Dragon Band’s high-energy Middle-Eastern fusion music. The snacks were tasty, libations flowed, and everyone had a wonderful time. The result: more than $1500 was collected for the Fund’s important mission.